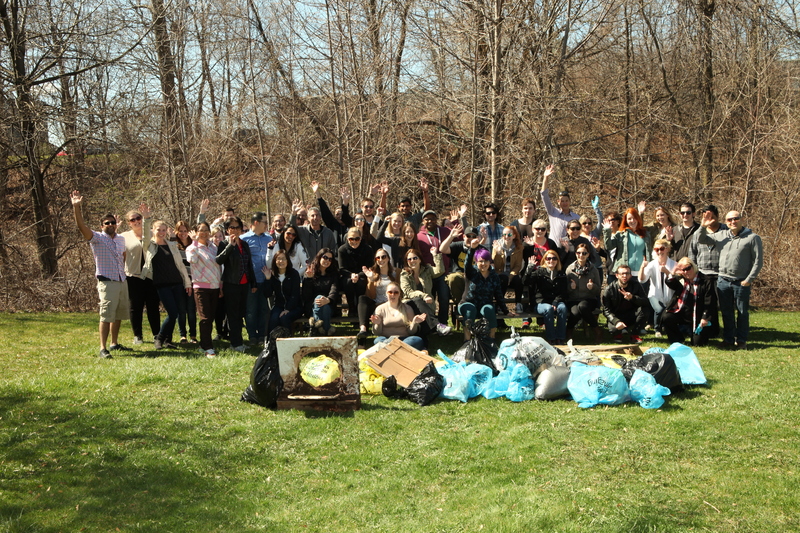 Edge Imaging staff after an Earth Day clean-up event. Photo courtesy of Edge Imaging. Earlier this month, I profiled the Mountain Equipment Co-Op (MEC) store in Burlington. This time, I am featuring another local business Edge Imaging as recommended by Burlington Hydro Inc.’s manager of corporate communications, Christine Hallas. Edge Imaging is a proud Burlington company in the school and sports photography business employing close to 300 people. In 2009, they were awarded the 2008 Burlington Chamber of Commerce Business Excellence Award for Innovative Technology and are celebrating their third year receiving the Consumer Choice Award for Business Excellence. Burlington Hydro Inc. presenting Edge Imaging with an incentive cheque through the saveONenergy for Business Retrofit Program. Photo courtesy of Edge Imaging. 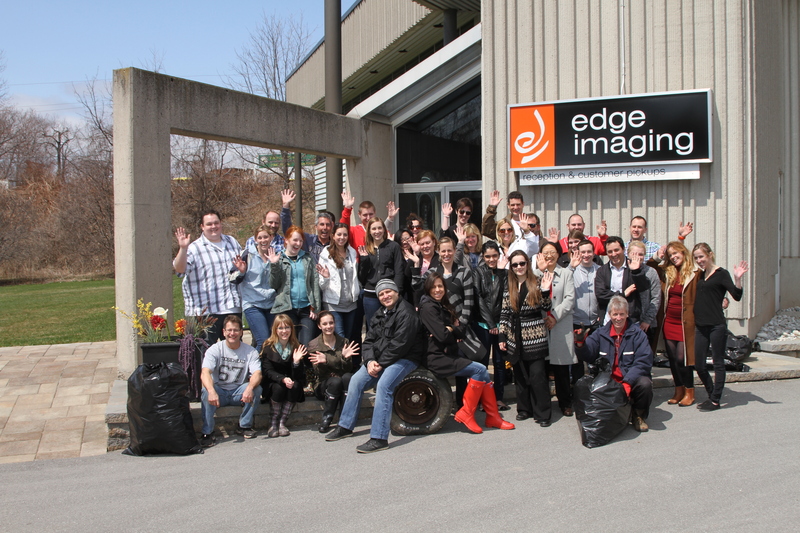 Staff at Edge Imaging showing their commitment to the environment with an Earth Day clean-up event. Photo courtesy of Edge Imaging. In addition to their environmental commitment, Edge Imaging is also involved in supporting community projects to empower children. They regularly offer free educational programming on safety, anti-bullying, mental health awareness and sustainability. This year, they partnered with the Tim Horton’s Children’s Foundation to increase awareness about the foundation and send kids to camp. 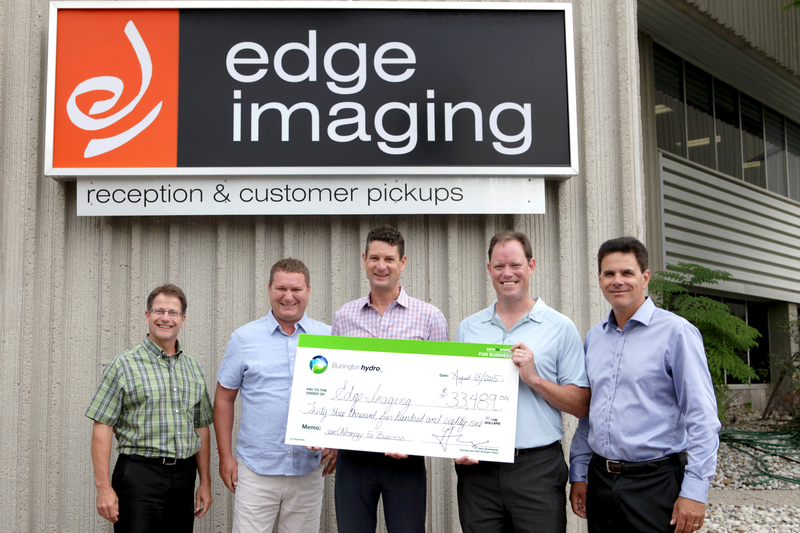 Well done Edge Imaging on taking action and working to reduce your carbon footprint. Collectively we can make a difference!